Stay safe with snow removal services in Ravena & Albany, NY, and the surrounding areas. When heavy snowfall hits and you don't have the necessary tools for snow removal, don't worry! 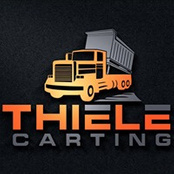 Thiele Carting and Plowing LLC has the experience and snow removal resources needed to get the job done fast. Snow can make for a slippery and dangerous situation, not to mention leave you trapped in your house or office. With snow removal services, you are less likely to slip and fall, or get stuck inside. Choose Thiele Carting and Plowing LLC today for snow removal services in Ravena, NY, and surrounding areas, including Albany, Rensselaer, and Greene counties. Is your driveway or office parking lot covered in snow? If temperatures are low enough, snow and ice are the perfect recipe for a dangerous surface that could cause a fall or car accident. Prevent these disasters from happening by contacting Thiele Carting and Plowing LLC for snow removal in Ravena, NY, Albany, NY, and the surrounding areas. Protect yourself from an accident. Call Thiele Carting and Plowing LLC for safe snow removal now. Copyright © 2019 Thiele Carting & Plowing LLC, all rights reserved.